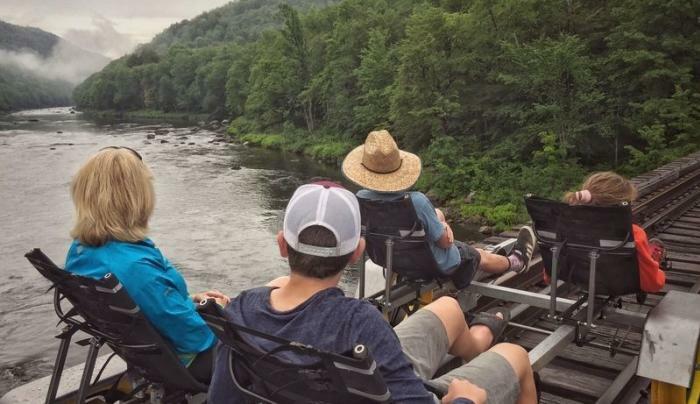 This is a fun and unique adventure in the Adirondacks ~ enjoy a ride on the historic railroad tracks under your own power along the Hudson River. You MUST bring your camera! 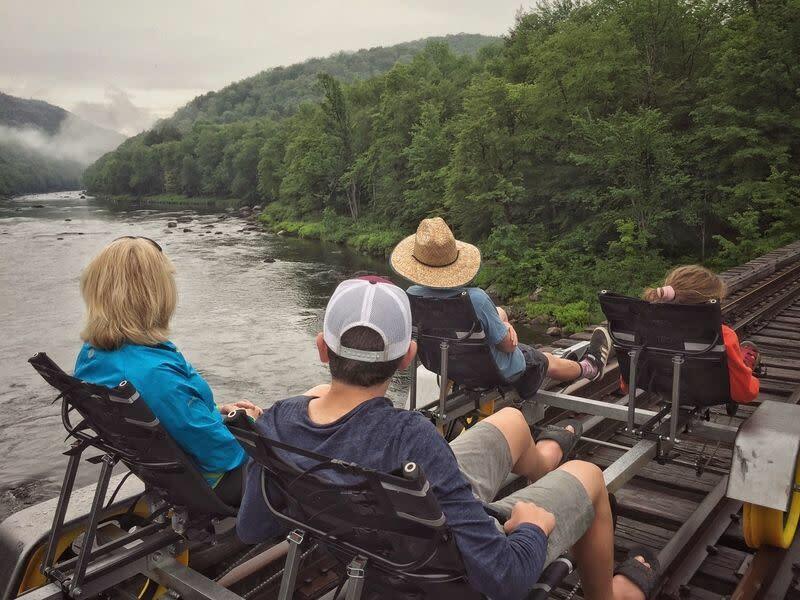 Your tour guide will take on a 6-mile round trip ride on the historic railroad tracks through beautiful Adirondack forest along the banks of the Hudson River, and then over the Hudson on a spectacular trestle bridge and returning. Each tour will take approximately 2-hours from start to finish and is for all ages and abilities to enjoy at a leisurely pace. The Quad Railbike for 1 to 4 riders. The Tandem Railbike for 1 to 2 riders. The tracks, once the Adirondack Branch of the D&H Railroad which brought summer visitors and in the 1930s winter ski trains from New York City and Schnectady, New York. We are sorry no pets, alcohol, or glass containers allowed.